Mumbai, Date: At this year’s United Nations’ annual flagship awards – Champions of the Earth 2018, Indians were seen as an integral part of the ecology conversation, moving a step closer to a more environment friendly living. 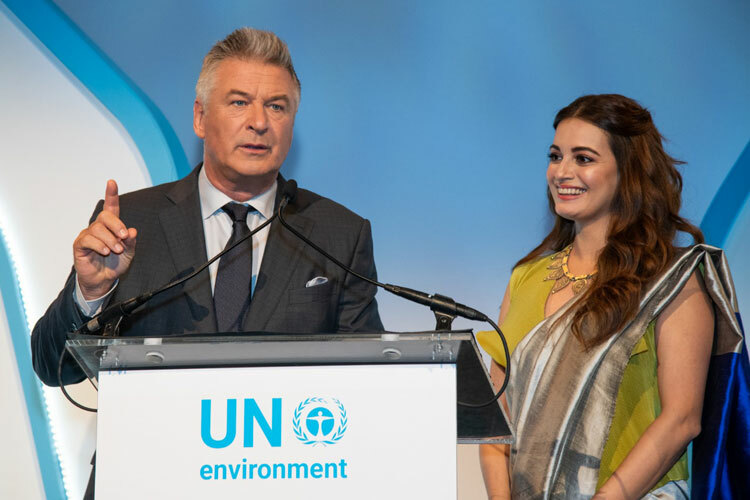 Hosting these awards along with actor Alec Baldwin was UN Environment Goodwill Ambassador and Indian actor Dia Mirza, who is known to crusade for and lend her voice to ecological protection. The gala brought together a cross section of world leaders and influencers to celebrate momentum for change in defense of our one planet. Conferred with the UN’s highest environmental honour, six of the world’s most outstanding environmental changemakers were recognised with the Champions of the Earth Award and seven trailblazers between the ages of 18 and 30 took home the coveted Young Champions of the Earth Prize, for their ambitious project ideas to restore and protect the environment. The awards were presented during the Champions of the Earth Gala in New York City, on the sidelines of the 73rd UN General Assembly. This is the second consecutive year, since being appointed UN Environment Goodwill Ambassador for India, that Dia was seen hosting the awards.